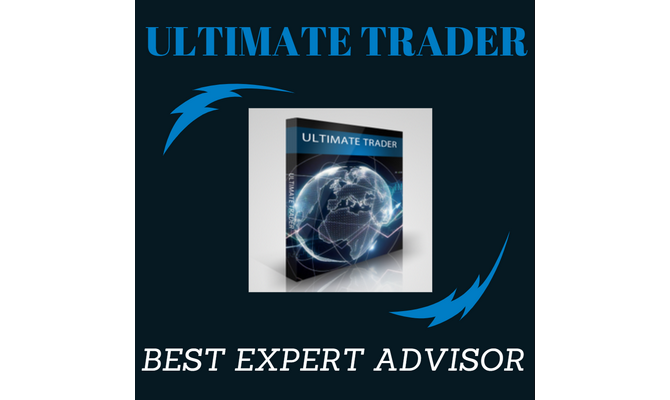 *The Ultimate Trader is not a typical expert advisor. 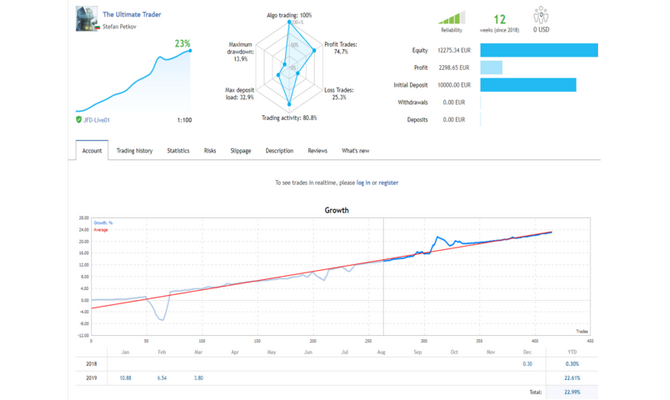 It is an unique trading interface to manage successfully your portfolio of investment. The entire interface is fully automated high profitable performance based investment product offering a global approach to the financial markets. 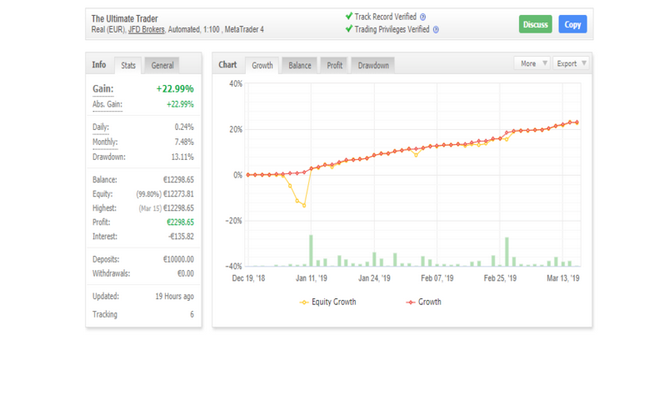 It is a system build up from fully automated 8 algorithms trading in different Forex pairs in order to diversify your portfolio in mid-term and long-term investment horizon. timeframes don't matter since the system is using all of them at the same time.